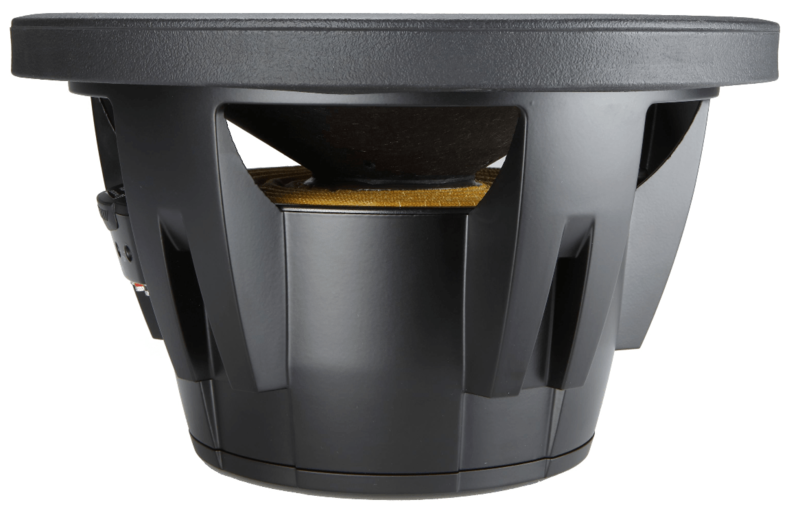 The Alpine R-W12D2 12″ sub features a cone made from Kevlar treated pulp — the same material used to make bulletproof vests — while its durable Santoprene surround allows for huge amounts of excursion. 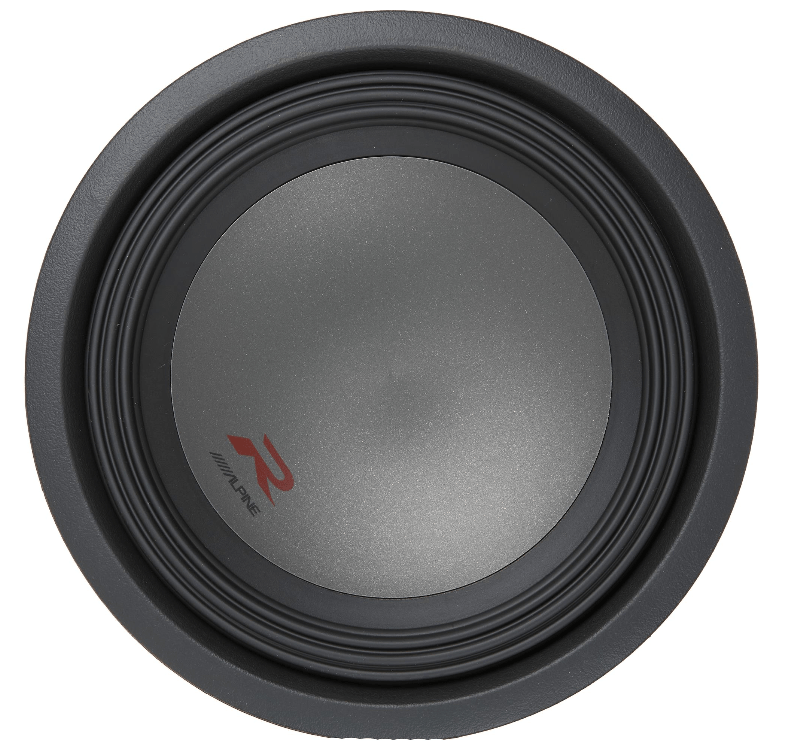 Alpine built this sub for bassheads who want the best of both worlds: accurate response and otherworldly thump. The Alpine R-W12D2 can handle up to 750 watts RMS, so be sure to choose a suitable amplifier as these bass monsters definitely want lots of power. Its dual oversized 2-ohm voice coils offer wiring flexibility you’ll appreciate as your system changes and grows, so you can always pull maximum power from your amp. 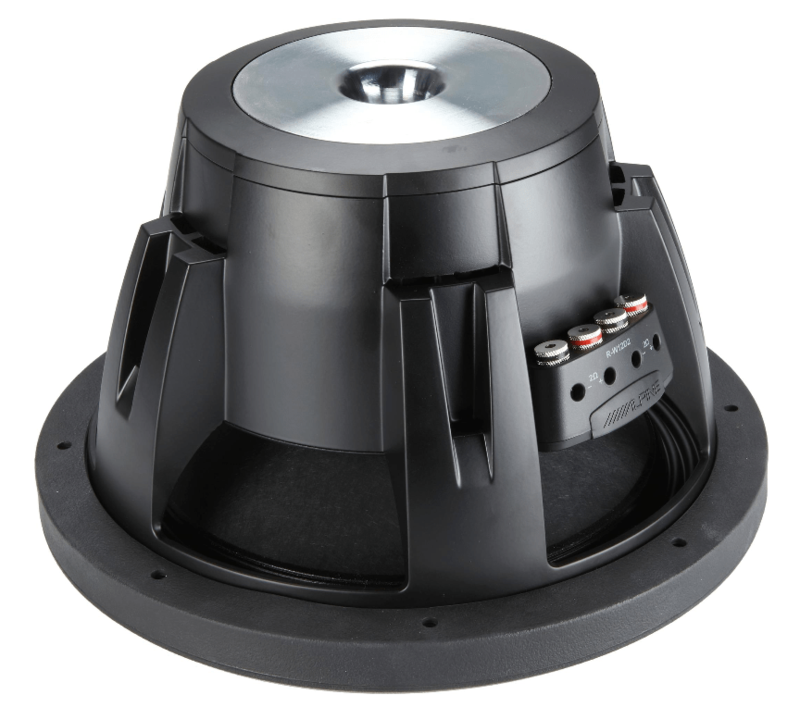 It works well in sealed and ported enclosures so you can choose what kind of bass you want to hear and feel. Note: If you are wiring this DVC sub for lower impedance, make sure that your amp is compatible. To drive this single subwoofer, we recommend a mono amplifier rated between 560 and 1125 watts RMS at 1 or 4 ohms. 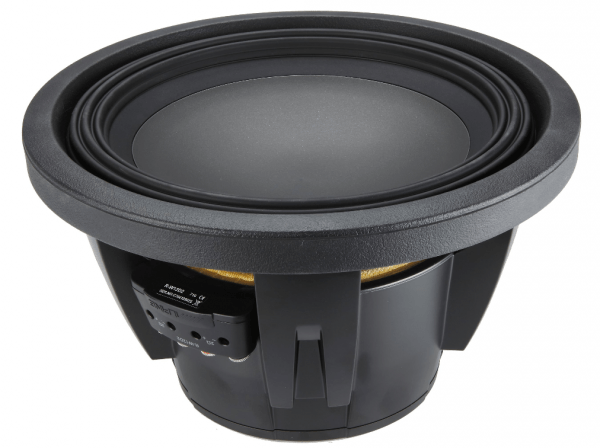 All four R-Series subwoofers are rated at 750W RMS. These subwoofers are a perfect match for the PDR-M65 Mono Power Density Amplifier, to create a system that works efficiently together. The R-Series subwoofers are compatible with optional grilles, to provide added protection to the cone. The 12-inch models are compatible with the KTE-12G Grille System, while the 10-inch models are compatible with the KTE-10G Grille System (all grilles are sold separately).